The palletZ is easy to use, flexible and highly efficient. True to the unit construction principle, the robot cell has a modular design and can be expanded with different product components. A wide selection of opportunities for additional processing stations and a variable number of pallet storage locations can be realised. In addition to the automation of up to three machine tools, entire production lines with multiple machines can be loaded and unloaded using the palletZ rail (base or top mount). Workpiece handling - Among the standard storage solutions you can select from: pallet and workpiece storage systems. Further storage combinations are available on request. 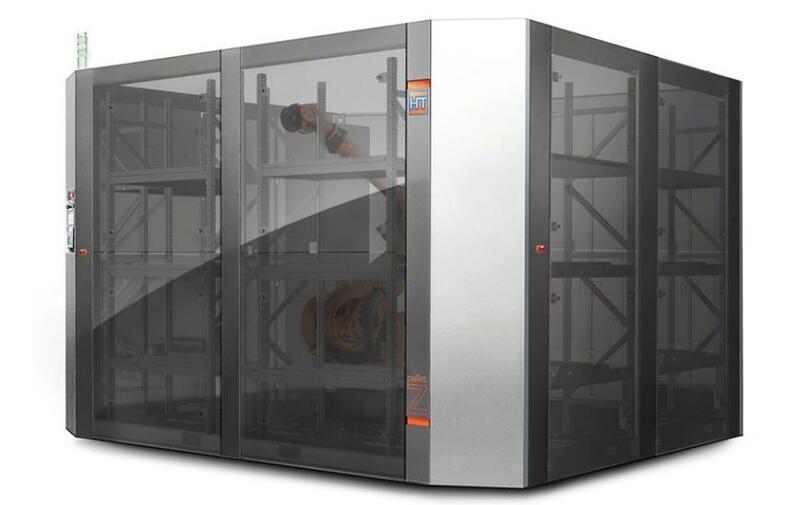 Transparency and accessibility - Both large areas as well as many different interfaces can be operated individually using robotic solutions with safety fences. Despite the wealth of product variants, compliance and security can be guaranteed at all times. Rail robots, in particular, require this solution because of their size.